“The Hunger Games and the Gospel” is the theme of two talks by Dr. Ted Sherman in The Humanitas Forum on Christianity & Culture, February 13 & 14. In an effort to better understand popular culture, these two talks will discuss the relationship of faith, film, and fiction. Or, What Does Katniss Have To Do with Christ? What is the relationship of faith and fiction? Alcuin of York, in the late 8th/early 9th century, once asked of an English abbot: “What has Ingeld to do with Christ?” Ingeld was a famous Germanic hero/god, and Alcuin had learned that the monks were telling pagan Germanic stories in the refectory rather than listening to saints’ lives or psalms or other Christian literature. He wanted to know what was the significance of Ingeld within the Christian mind. In this talk, Dr. Sherman will answer Alcuin’s question but in relation to extremely popular works of modern fantasy, such as The Hunger Games and the Harry Potter novels, and he will do so partially by showing how JRR Tolkien and CS Lewis answered Alcuin’s question in their fiction. Dystopian Fiction or Tolkienian Fairy-tale? In his essay “On Fairy-Stories,” JRR Tolkien suggests all true fairy-tales offer adult readers four things: fantasy, recovery, escape, and consolation. In this talk, Dr. Sherman will suggest that Suzanne Collins’s trilogy—The Hunger Games, Catching Fire, and Mockingjay—does these four things, at least partially. 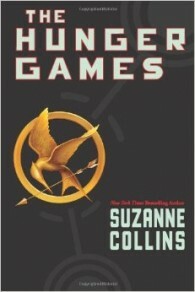 Although described as dystopian, The Hunger Games trilogy may be read as fairy tales, and this indeed may be the cause behind their huge popularity. Dr. Sherman will briefly examine the genre of dystopian fiction and show why The Hunger Games does not fit the genre, but that it does fit Tolkien’s definition of at least one kind of fairy-tale. Dr. Ted Sherman teaches English literature at MTSU, serving on both the undergraduate and graduate faculties. He regularly teaches in the CCSA study abroad program in London. This coming summer he will again teach “The Appeal of Harry Potter” and give students a tour of the various Potter sites.